Jean Baptiste Joseph Fourier was a French mathematician born on 21st March 1768 at Auxerre. His father was a tailor who died when Fourier was 8 years old. In order to give the boy proper education, his aunt and uncle put him in Ecole Royale Militaire where he proved to be a conscientious student showing high intellect particularly in mathematics. The teachers saw a bright future in the field for him however Fourier seemed to have different plans. Joining the army was his main ambition but due to his below mediocre family background he was unable to do so. He then joined the Church for which he went to St. Benôit-sur-Loire to take his vows. Meanwhile, he taught mathematics to his fellow learners. His life is seen in the milieu of the French revolution which was beginning to sprout its first seeds in 1787. The vows that Fourier was going to take for the Church never happened completely changing the course of his life. He started working as an assistant to his teacher at the Ecole Royale Militaire and then at the College Nationale. Fourier took an active part in the promotion of the French Revolution. He served at the local Revolutionary committee. He was with Napoleon Bonaparte on his expedition to Egypt and was also appointed the Governor of Egypt and Secretary of Institut d’Egypt in 1798. In 1801, he became Prefect of the Department of Isere where he managed construction and similar projects. It was during this time Fourier began working on heat propagation and after conducting experiments he wrote his first paper namely ‘On the Propagation of Heat in Solid Bodies’ which he presented to the Paris Institute on 21st December, 1807. Working further on the subject he wrote another paper on heat flow called ‘Théorie analytique de la chaleur’ meaning ‘The Analytic Theory of Heat’ and it was based on Newton’s Law of Cooling. This book was published in English translation about 60 years later in 1878. When Fourier calculated the size of the Earth and its distance from the sun, it got him thinking. Considering the distance, the Earth should have been much cooler than it was. So what was making the planet warmer? Fourier suggested after observing the supplementary heat, that there was presence of interplanetary radiation that caused the temperature rise. According to him, the Earth’s atmosphere was an insulator that protects it from outer radiations and various factors were contributing to its breakage. Fourier’s proposal is now known as the Greenhouse effect. Fourier was working on determinate equations but couldn’t complete this work before his death. He was the initiator of the Fourier Series and its application on heat transfer and vibrations. Commemorating his abilities the Fourier transform and the Fourier’s Law are named after him. 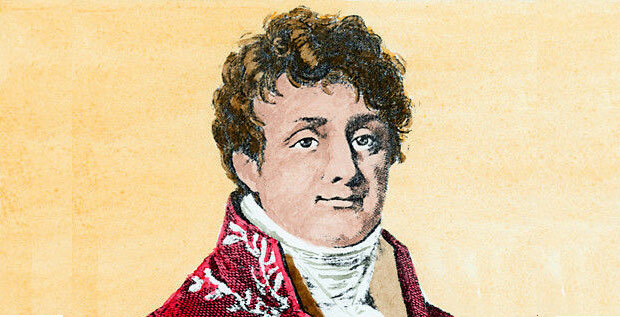 Fourier went to England in 1816 only to return to France in 1822 when he became the Permanent Secretary of the French Academy of Sciences. He also became a member of the Royal Swedish Academy of Sciences in 1830 after which his health started deteriorating. He died on 16th May 1830 in Paris where he was buried. His name is inscribed on the Eifel Tower.